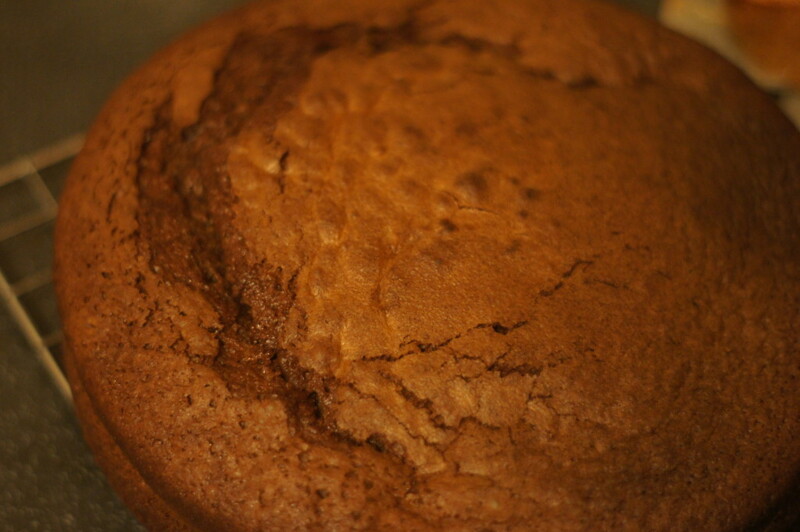 On my mission to find banana cake recipes I found this recipe on Pinterest. Personally I think bananas and chocolate are a match made in heaven! 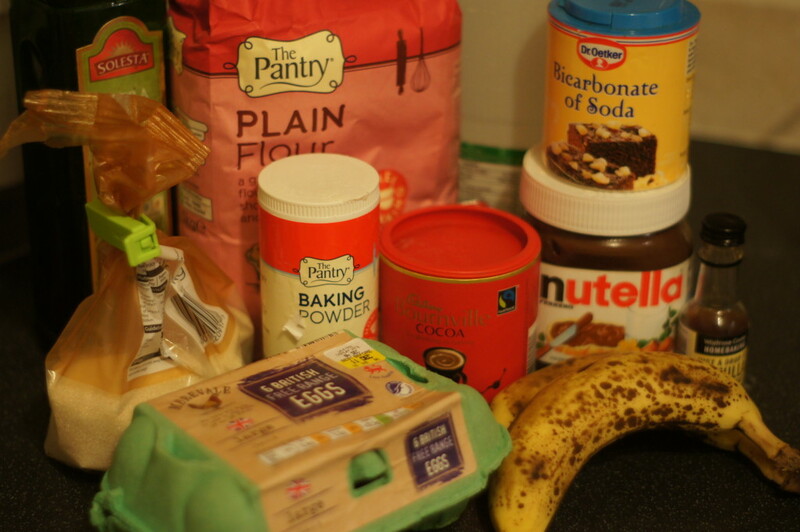 I’ve made a marbled Nutella and banana loaf cake before but not tried making it in cake form. This is another quick and easy recipe to make. 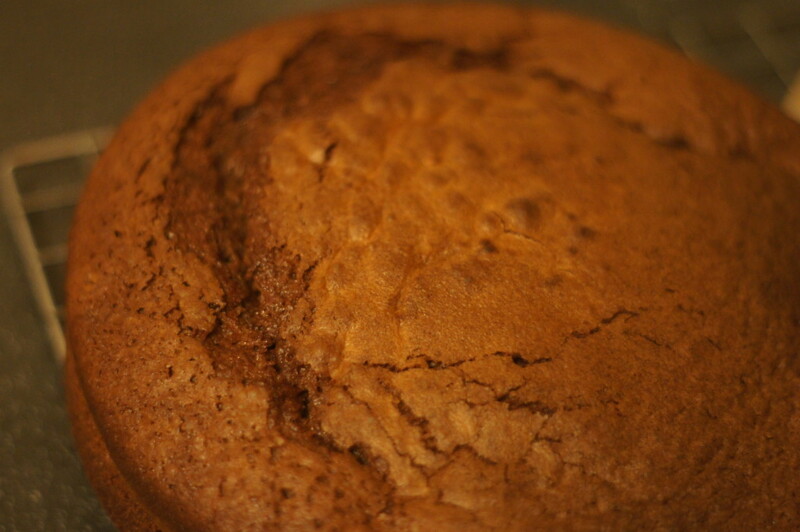 It makes a moist cake, however it’s not overly chocolatey. It’s an American recipe so it uses cups rather than grams which if you don’t have you can use a conversion website. 1) Pre heat the oven to 190C/350F. Grease and line the base of a 9 inch (23cm) cake tin (I used a springform one). 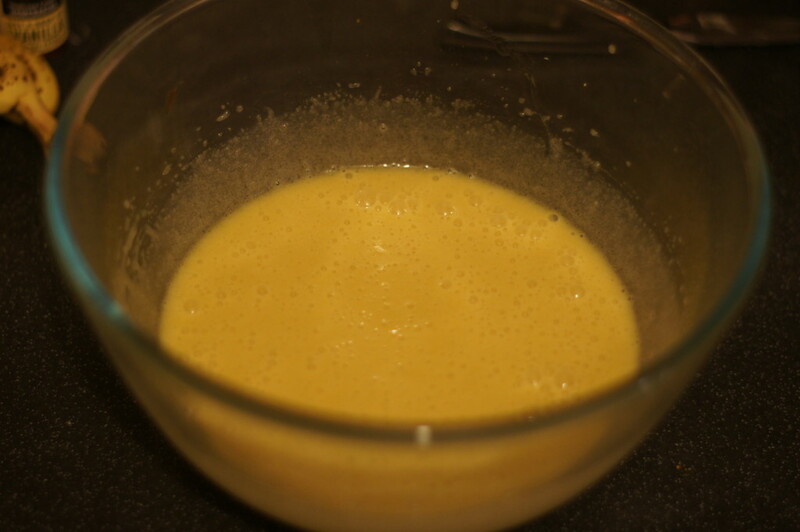 2) In a bowl, whisk the eggs with the sugar until it’s combined to a smooth consistency. Pour in the oil and give it another whisk. 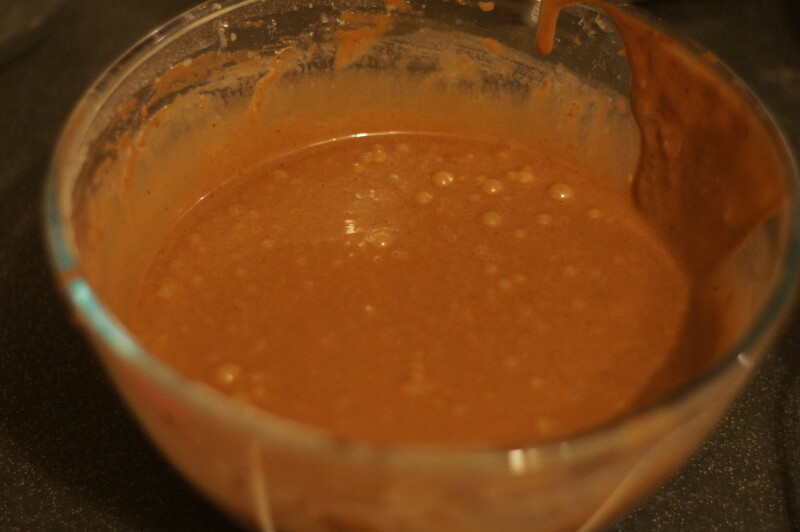 Next, add the Nutella and whisk again. 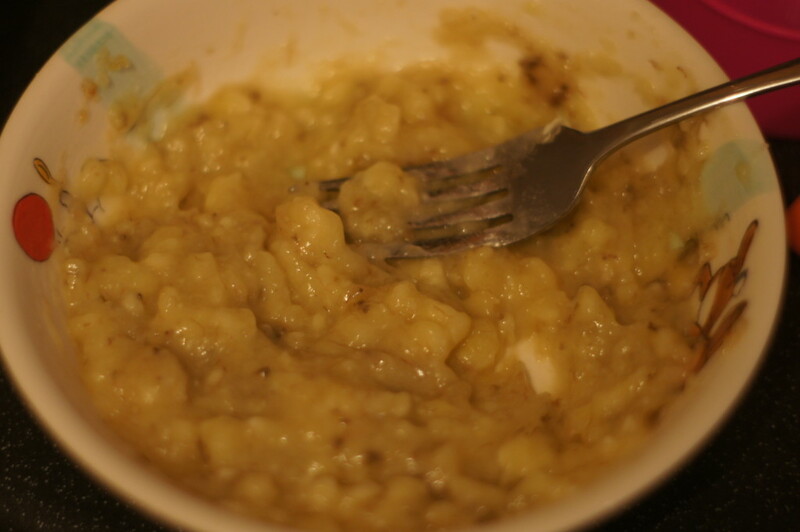 3) In a small bowl, mash the bananas and add it to the egg mixture. 4) In another separate bowl, mix all the dry ingredients together – flour, cocoa powder, baking powder, baking soda and salt. 6) Pour the batter into the cake tin and bake it for 50 to 55 minutes until a skewer inserted into the middle of the cake comes out clean.